We recommend that you arrive 15-30 minutes before your scheduled appointment, to give yourself time to relax. We would recommend booking your service well in advance to avoid disappointment. Credit card details or pre-payment are required to make and confirm any booking. In case of advance booking exceeding three days, please pay in advance to confirm the booking. In case of non-payment, booking is considered within the waiting list. In most cases, a 24-hour advance notice is required when canceling an individual appointment. Group appointments, 72-hour advance notice. This allows the opportunity for someone else to avail themselves of our services. If you are unable to give us the minimum (24-hours or 72-hours) advance notice or cancelled on the same day, you will be charged the full amount of what would have been your service fee. If cancelled within 72 hrs 50% of what would have been your service fee. Please feel free to wear whatever makes you comfortable. We will provide a bathrobe for your comfort. We recommend that no jewels be worn during service. If you bring valuables and jewels with you, a place will be provided for their safekeeping, but please note that we cannot be held responsible for them. We kindly ask that you turn your mobile phone or pager to silent mode when you arrive to allow you and our other guests to relax. Please respect our peaceful ambience as well as the privacy of other guests. We ask all our guests to help conserve the salon tranquility by not smoking. There will be a consultation with a qualified practitioner before your treatment, where any health concerns or special needs can be addressed. Please advise us if you suffer from any medical conditions, injuries and allergies or if you have any special requests when making your booking, as some treatments may not be safe or suitable to be carried out. Please advise us if you are pregnant or breastfeeding when making your booking as some treatments may not be safe or suitable to be carried out. Your specialist will recommend some products which can be purchased at Al Manahil boutique. Can be purchased for a specific service, package or amount at the reception. Home Care Professional recommendations and prescriptions are available from our treatment specialists and can be purchased at Al Manahil Boutique. We want all our guests to feel comfortable during their visit to Al Manahil Salon. 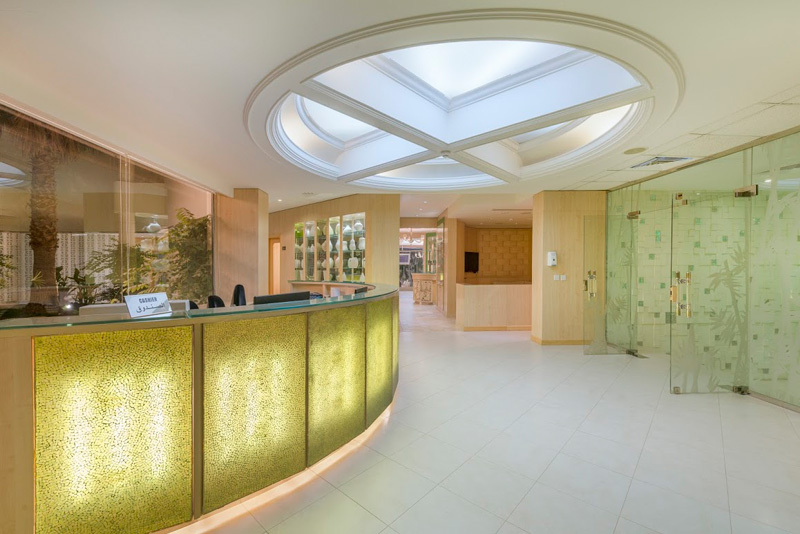 If you have any concerns or queries regarding your service, treatment or the facilities, kindly fill in the questionnaire at the reception or speak with your therapist or Assistant Manager/SPA & Salon Director who will endeavor to ensure that you have the best possible experience.